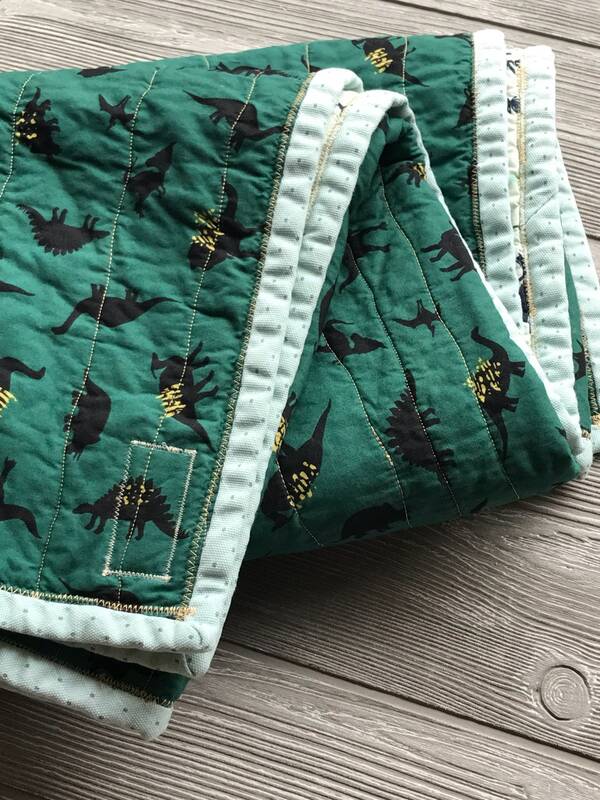 Dinosaurs!! 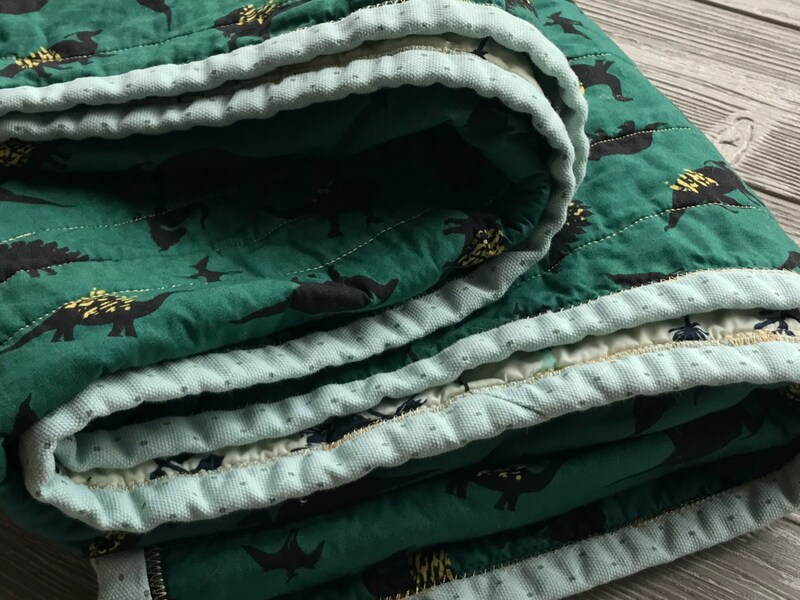 - Available in twin, throw, or lap size! 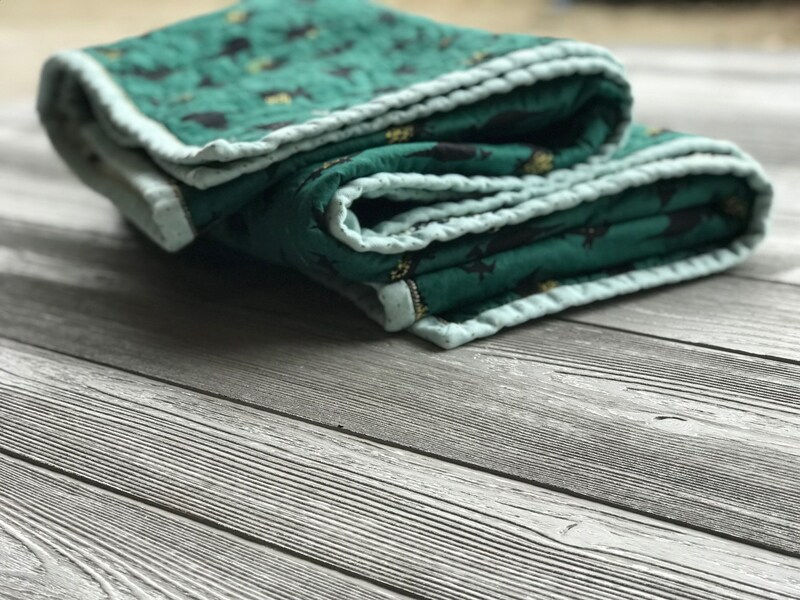 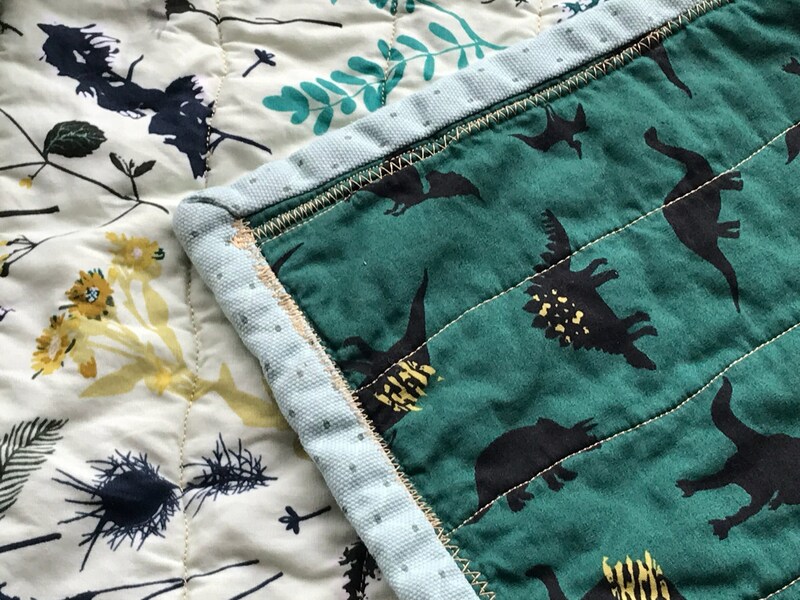 This whole cloth quilt is made with a cute Dinosaur print in hunter green. 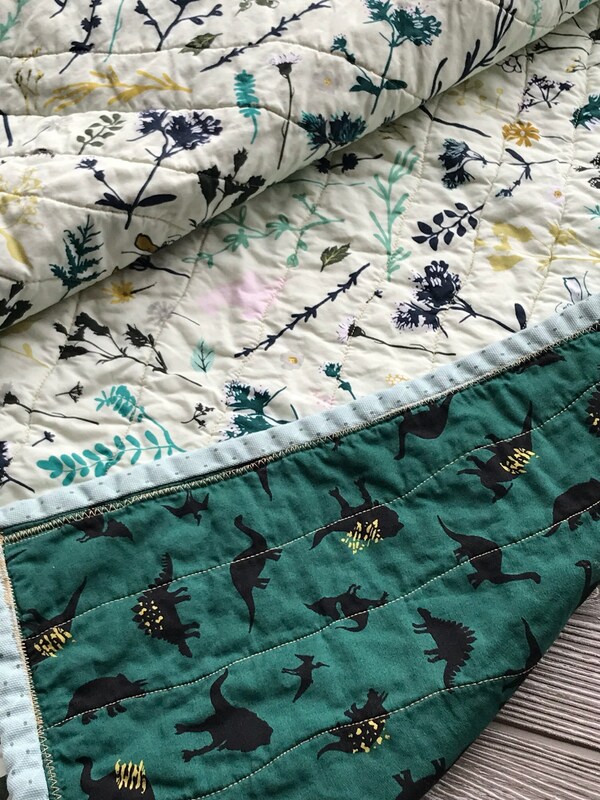 The back of the quilt is a spearmint flora and fauna print. 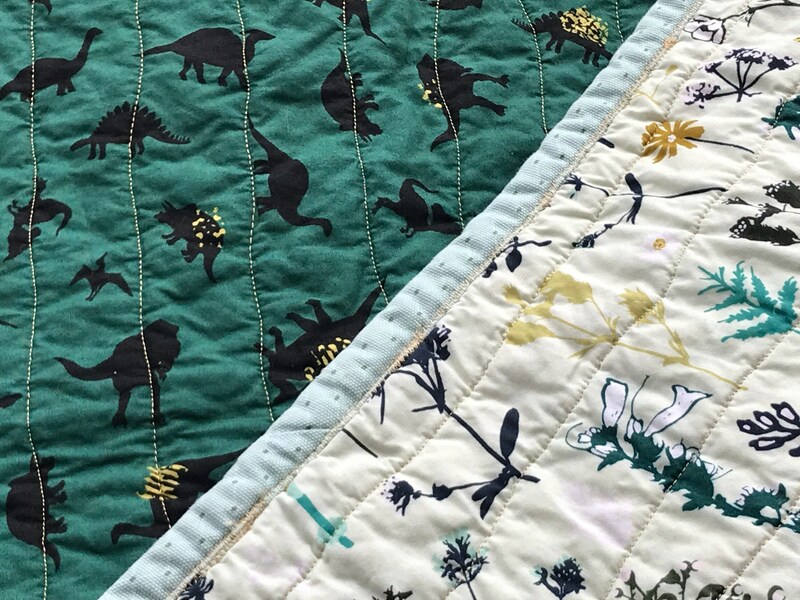 The binding on the outside of the quilt is a mint print. 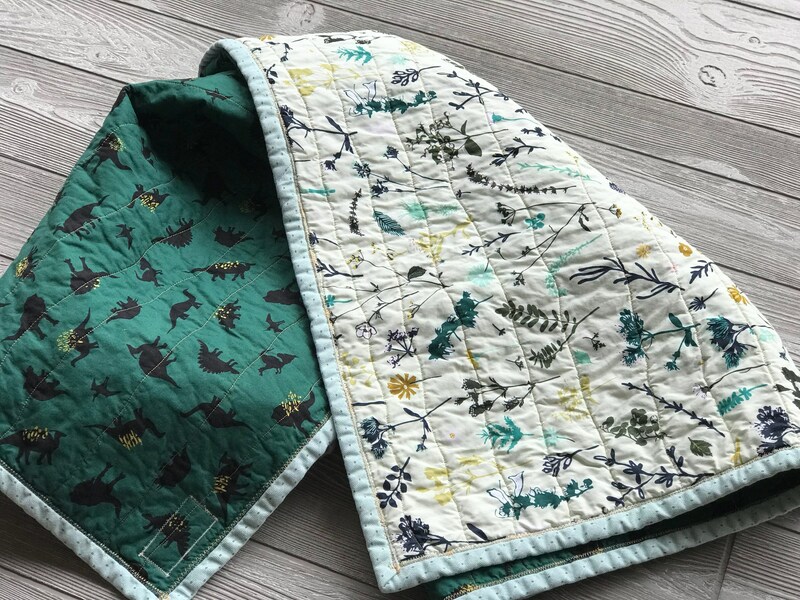 It is made to order in three different sizes - Twin, throw, and baby/lap.